I have reduced the listing price on my condo to 125,000.00. 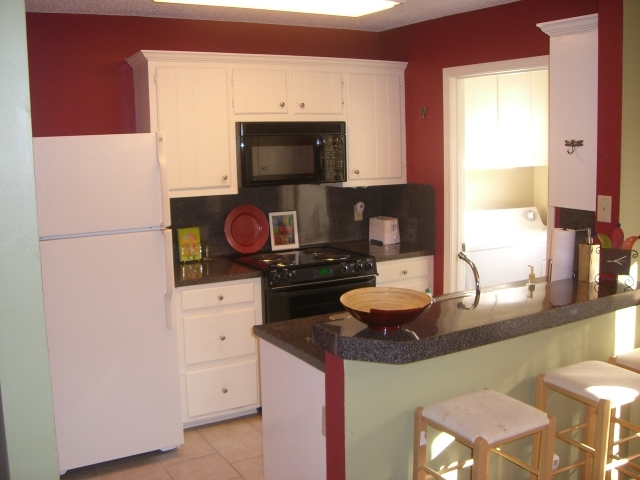 This unit is conventiently tucked away off of S. Harrells ferry road and sherwood forest. FULLY FURNISHED. Seller willing to pay some closing cost with a decent offer. This is a corner unit. 1250 sq ft of living area. Large closets, fireplace in the living room. 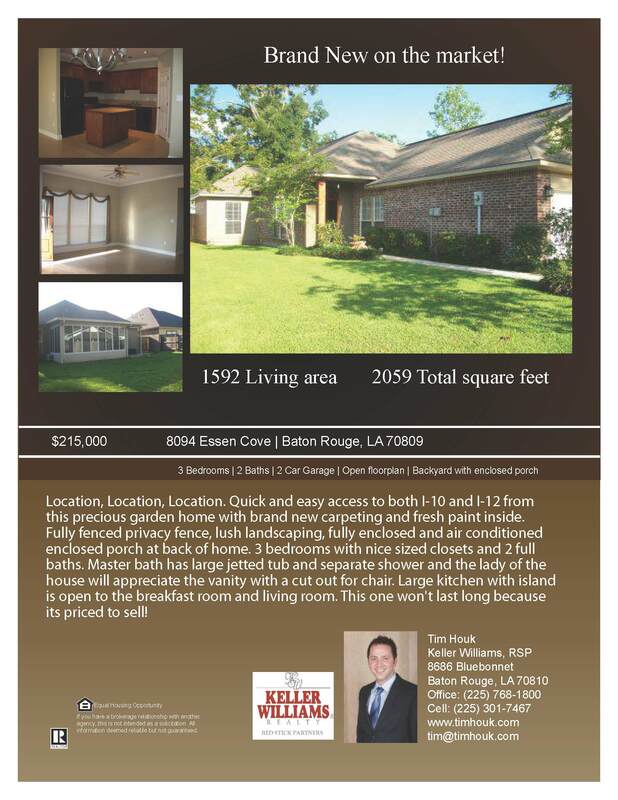 I am receiving a LOT of calls concering foreclosures in the baton rouge area. I am not sure if anyone has seen the statistics, but we rank among the lowest in foreclosures. That being said, since the demand for them is high and the inventory is low it is imperative that if you are searching that you be knowledged on the area that you are searching in so you can move on it IMMEDIATELY. If you do not…someone else will. Contact me to sign up for my weekly best buy list. 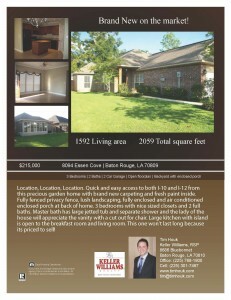 Fantastic home that is tucked away and ready for a new owner! 4 Louisiana cities ranked in the top 30 in Forbes magazine list among the 30 best places in the US for employment. Baton Rouge finished 27th, while 3 other cities ranked slightly higher. The report was based on data from the Bureau of Labor. Also interesting to note was that Baton Rouge education related jobs was up 21%! It appears many college cities topped the list. I for one am thankful to be in Baton Rouge during this time of economic turmoil. I attended the Trends seminar in Baton Rouge this morning and will be reporting the results throughout the next few weeks. What I find most interesting is the state of East Baton Rouge parish. Overall home sales fell from 5547 to 4,299 units in 2008. Here is the kicker: home prices actually rose almost 6% from 204,532 to 216, 757! How great is that! I will be examining other aspects of the report and other parishes so stay tuned for updates! We saw a drop in mortgage rates this morning. Turn times for new loans are also getting much quicker then they have been. Hopefully, we will see them ease up a little bit! If you are interested in getting pre-approved, call or email me immediately!